This is the website of the behaviorist we work with most often. We highly recommend the purchase of her Ebook from her site. This is the website for the American Kennel Club. 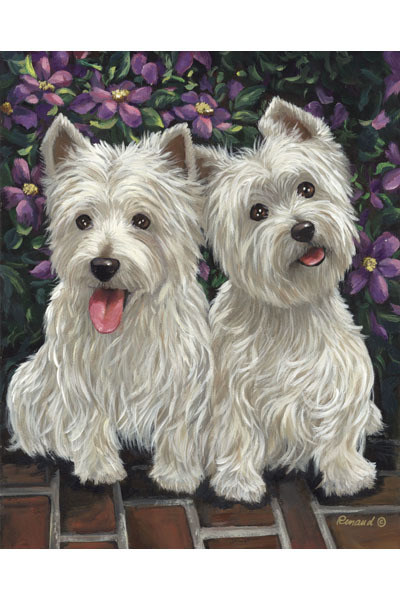 This is the Education website for the Michigan Westie Club. This is a foundation dedicated to medical research impacting Westies. On this site you will find a listing of “Westie Vets” as well as an excellent medical Ebook. This is the national Westie Club website. This is the Michigan Westie Club website. Northfield Dog Training located in Ann Arbor, MI. Sportsmen’s Dog Training Club serving the east side of Detroit or anywhere reachable from I696. This is a site which lists many schools in Michigan. This is the veterinary clinic used by the majority of our foster homes located in the northeast part of Metro Detroit. Apple Gove Vet This is the website of a vet we use in the Charlotte area. East Lansing Veterinary Clinic This is the website of a vet we use in the East Lansing area. This site provides great medical information in layperson’s language. This is a ophthalmic service which we often use for our Rescued Westies. Nicker Stickers This company donated stickers to our March 2015 auction. Great Westie decals for cars.